Recap - Have the Red Sox Hit Rock Bottom Yet? We're getting past the "it's early...don't panic" stage. Red Sox pitchers allowed five home runs - two of them by the immortal Ketel Marte - in a 15-8 loss to the Diamondbacks at Chase Field Friday night. 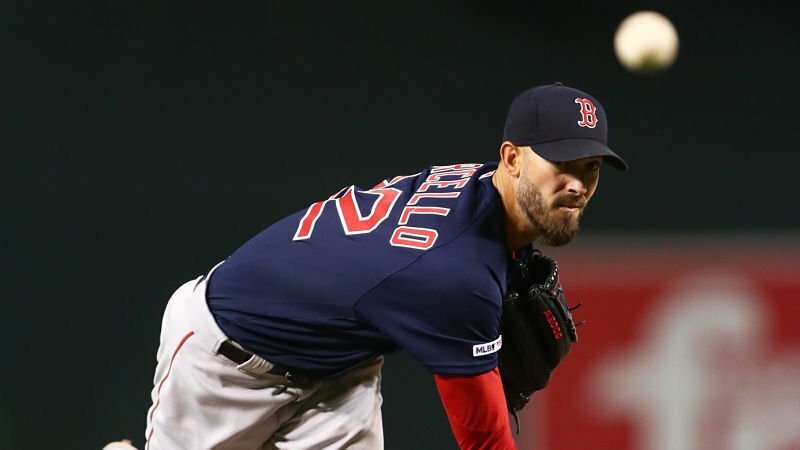 Boston starter Rick Porcello (pictured) allowed three home runs and was charged with seven Arizona runs in just 4.2 innings on 10 hits and three walks while striking out five. The Red Sox finished the game with Eduardo Nunez on the mound. The defending World Champs had a position player on the mound to finish a game on April 5. And there's no sign that things are about to get better. The offense came to life late with four runs in the eighth and three more in the ninth, but by that point the game had long been decided. Mookie Betts led the Red Sox with three hits including his second home run of the year. Andrew Benintendi and Blake Swihart had two hits apiece and Mitch Moreland hit his second home run of the season.